Daniel Winkler started blade-smithing in 1988, and specializes in hand-forged blades. 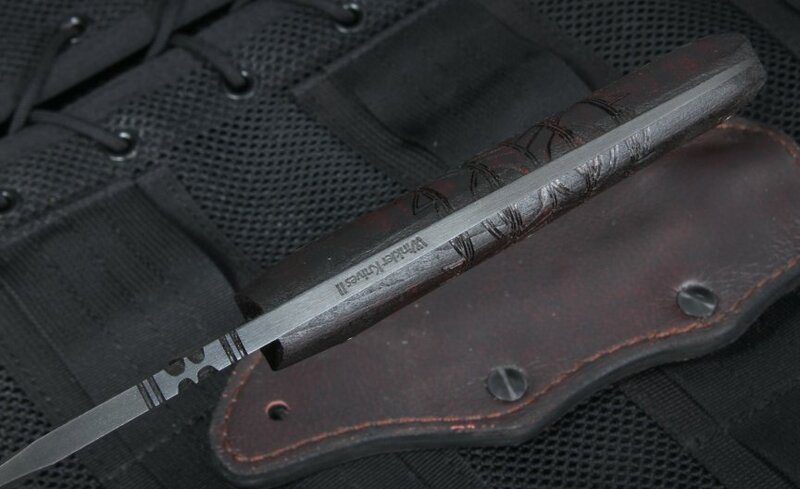 Known for his primitive style custom knifemaking, Winkler has made a name for himself making military knives and axes, and starting up production of the Winkler II models. 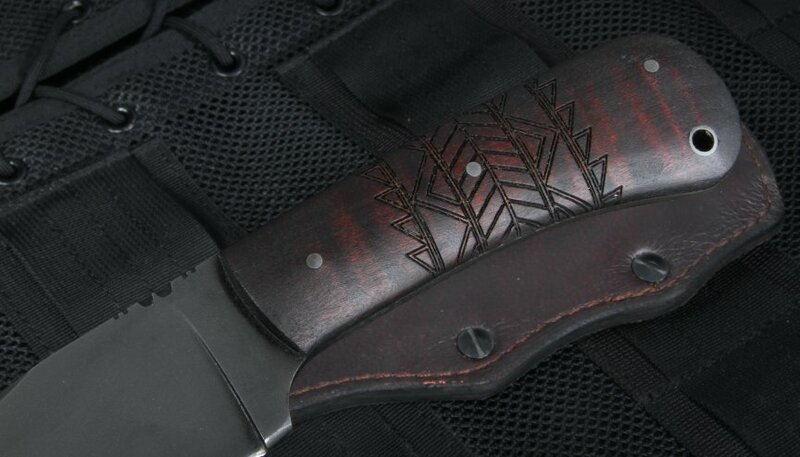 These blades are made by a small team, using Winkler's trademark designs and techniques, and are used by the Navy Seals, among other military groups, and among the best quality knives you can buy. 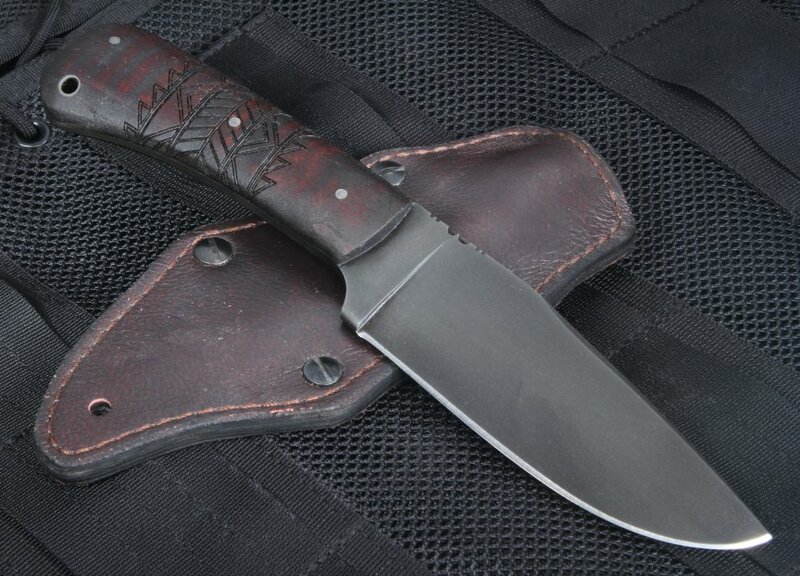 This Winkler Hunting Knife is forged using 80CRV2 Carbon Steel with flat grinds and finished with a rust preventing black caswell. The blade shape is a time-honored drop point, having a razor sharp cutting edge of 4 3/4 inches. There's a hand-filed thumb rest on the blade spine, and a tapered full tang for exceptional balance. With a blade length of 5 inches, this knife is guaranteed to fill your needs. The handle of this blade is made of premium maple, with tribal markings, giving a natural quality to the work. There's a lanyard hole included, allowing the option to secure the knife to your hand, making it more convenient as well as safe. The weight of the entire knife is a balanced 7.9 ounces, while the complete length is 9 and 5/8 inches, making this blade a hand-held beauty. Each knife is paired with custom leather sheath lined with kydex that can be worn on a belt either vertically or horizontally and features a metal clip that allows for hidden carry inside your pants. As an authorized dealer of these beautiful blades, we guarantee your satisfaction with fast, free shipping within the United States and exceptional quality. Not only is it the most beautiful knife I've ever handled, it is one solid piece of hardware. The balance is excellent. 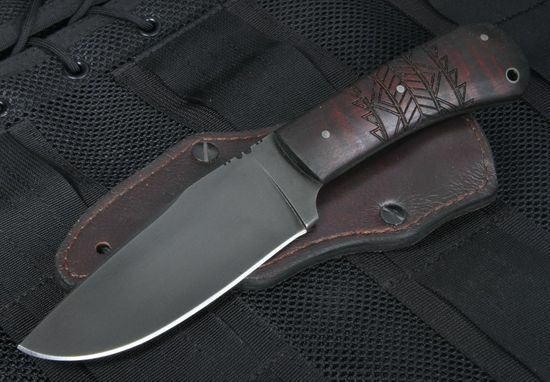 Perfect blade for camp craft and hunting. Worth the price - it's the last fixed blade I will ever buy.